B & K Roofing & Construction is a DFW based Roof Company, we are committed to providing a full suite of construction service to either your home or business here in the Dallas, Fort Worth, Arlington Texas area. Below is just a few of the construction services that we offer to the local community. We offer a full range of Residential & Commercial roofing services here in the Dallas, Ft Worth, Arlington Texas area. We work with All Types of Siding, both for Residential & Commercial Projects in the DFW Texas area. B&K offer all the Major Brands, Types, & Styles of Windows for Residential & Commercial Properties in the DFW area. Having Gutters is a must now days regardless if you own a Home or Business in the Ft Worth, Dallas, Arlington TX area. At B&K, we know & understand every style and type of Metal Building that you may ask for in the North Texas area. 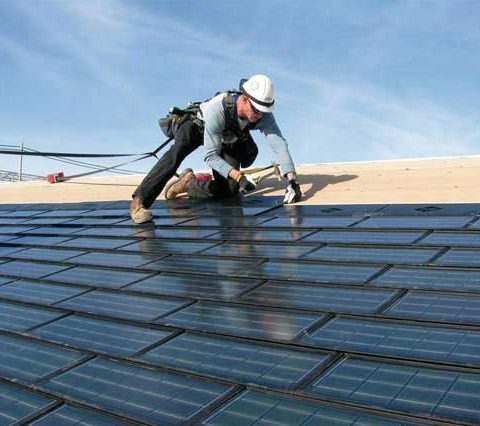 Click here to learn more about our solar screen services that we offer here at B&K Roofing & Construction in DFW. At B&K, we are absolutely committed on providing high end, quality, and a well valued roofing service for either your home or business in Dallas, Fort Worth, Arlington TX. Hence Our professional roof contractors offer a FREE Estimate for any and all jobs regardless how large or small it may be. Call Us Today, and experience our top flight roofing services for yourself. You will not be disappointed that you made that call. Our roof contractors in Dallas, Fort Worth, Arlington Texas always come to the job with a smile and ready to make your dream a reality. Each of our professional roofers in Dallas, Fort Worth, Arlington TX are passionate and are highly skilled. Doing a construction project regardless how small it may be, can become a nightmare in a matter of minutes. When this happens rest assure that B&K Roofing Company is here and ready to help. Our promise to each and every client is this, we will work hard to provide you the best value and a outstanding roofing services experience that can not be matched in Dallas, Fort Worth, Arlington and surrounding areas TX. At B&K Roofing & Construction, it’s our roofers’ mission to serve the Dallas, Fort Worth, Arlington Texas area and surrounding communities both with residential roofing and commercial roofing services. We are dedicated and work hard to provide the highest quality-roofing solution in Dallas, roofing service in Fort Worth, and a roof product here in the Arlington, DFW Texas area. Our roofers’ uncompromising belief in delivering only the highest quality workmanship, has led us to be one of the leading roof contractors in our local community. Our Roof Company in Dallas, Fort Worth, Arlington Texas has been established on trust, respect, and building lasting relationships in our local communities on commercial projects, new roof construction, roof replacement, general roof repair, hail damage claims, and insurance inspections. While also providing a vast assortment of residential roofs and commercial roof types, and offering countless number of roofing brands that everyone knows, loves, and trust. Lastly outside utilizing only the best roofing materials and roof products available for our roofing contracting services in Dallas, Fort Worth, Arlington Texas. We also pair our roof company with all the latest technology; newest products to handle the latest roof trends, and get continuous roof education to ensure each our clients are treated and handled in the highest regard. For it is our roofer’s mission and goal to find reasonable and practical roofing ideas and solutions to fit your need and budget so we can provide roofing Dallas, roofing Fort Worth, roofing Arlington and all the surrounding communities. "We were very pleased with our new roof. Very professional and courteous. Everything from the original meeting on estimates, to the timely and careful delivery of materials, arriving when expected, and completing the job in one day. I have recommended B&K Roofing to family and friends!" "Amazing group of detailed professionals! Highly recommend! Our metal roof is awesome. They have done 2 roofs for us and both excellent jobs on two different homes!" "These are the guys to go to for your roofing needs in the Boyd Texas area. Professional and competent. Keith and his crew will do your job right."